Synthetic There are 4 products. 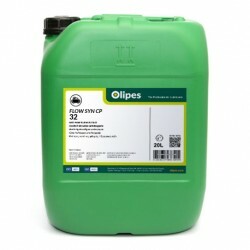 Flow Syn CP 32 is a high performance 100% synthetic lubricant based on Polyalphaolefin (PAO) - ester, formulated with special additives for the lubrication of air compressors. Flow Syn CP 46 is a high performance 100% synthetic lubricant based on Polyalphaolefin (PAO) - ester, formulated with special additives for the lubrication of air compressors. Flow Syn CP 68 is a high performance 100% synthetic lubricant based on Polyalphaolefin (PAO) - ester, formulated with special additives for the lubrication of air compressors.